Samhain Publishing is OFFICIALLY (for the second time…?) going out of business at the end of this month. If you purchased any books through their site, you need to login and back up your files. They will be pulling their website down. This also means that two of our books, The Balance of Silence and The Slipstream Con, will be going out of print at that time. Michelle and I will be investigating other options to put them back on the shelves. At some point it’s likely that we will self-publish those titles to make sure our entire series remains available. If you’re wanting copies of those titles, I’m not entirely sure what to tell you. Samhain has maintained their royalty payments thus far, and I want to believe that will be the case throughout the closure. 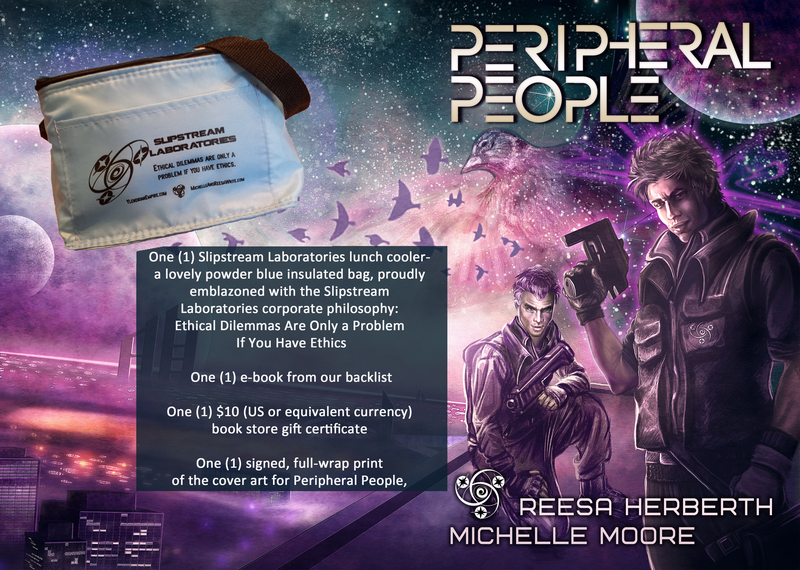 I have paperback copies of The Slipstream Con. Going forward, we will likely publish a revised, expanded edition of The Balance of Silence and offer a paperback option. If you want ebooks, you may want to purchase them ASAP and make certain you’ve downloaded a backup copy of the files. We met and worked with many wonderful people at Samhain, building relationships that will continue beyond the end of the company. Beyond business, they helped us meet and entertain our readers, and that’s what we’ll keep doing. And with that, it’s back to work on the end of our next book! Jay’s an average lifeguard. Sure, there’s the family curse—a connection to a demon who shipwrecked on the coast centuries ago—and being the last heir to the heretical sect of monster hunters who failed to destroy that demon. So he’s mostly an average lifeguard. 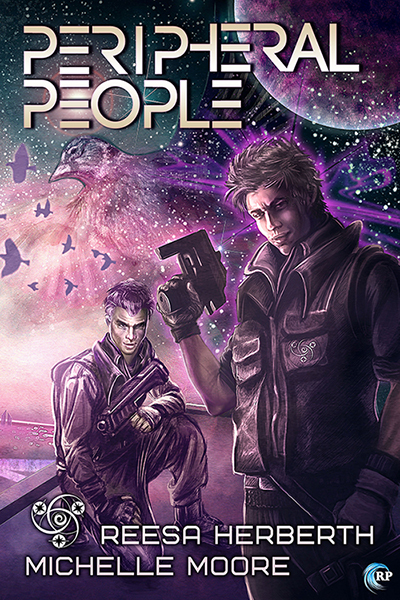 The newest Ylendrian Empire story, Peripheral People, is finally available! And for the more adventurous, check out the Ylendrian A-Z Countdown for a hidden word scramble! Michelle and I are incredibly proud of this book, and we can’t wait to share it with our readers. And if you’re heading to the Romantic Times convention in Dallas this week, hit us up on twitter and we’ll make sure we say hello in person! B.E. 0053 – Ylendrian Landfall Mission – Combining the technological advances of the three races, subspace wormhole travel is achieved. Choosing a planet deemed uninhabited and hospitable to all three races, the first ships are sent to a designated rallying point. B.E. 0053 – Ylendrian Landfall – Humans, Akeloans, and Trakorans meet face-to-face for the first time since contact was established eight years prior. Despite difficulties adapting the subspace technology and physiological requirements, emissaries from the three races pledge to further explore and expand their known universe. B.E. 0050 – Ylendria Rising – Ylendria, the planet of first meetings, is officially colonized by all three races. Terraforming begins, and the first five year research missions are deployed, seeking allies and planets for further colonization. B.E. 0023 – Imperial Genetics Begin – The first Human-Akeloan hybrid, Meloy Parth, is born to a Human mother and a stunned Akeloan father. After Eempirium 0000 – Imperial Founding – Expanding from their original colony on Ylendria, the three races join under the leadership of the first Empress, Meloy Parth Wrintu, and claim their fifteen colonies as Imperial planets. Xenophobic colonies – There are, or were, several Ylendrian colonies in the second and third wave who opted for single-species colonization. Two of the Human-only colonies suffered failed terraforming and were abandoned. One of the second wave Akeloan colonies launched their own successful exploration program, searching beyond the boundaries of Imperial space for more worlds to inhabit. It’s believed that at least two exploration worlds were in the process of being terraformed when the Akeloan plagues began to spread through the empire, but no one knows if they escaped the same death the rest of their species fell prey to. Other than Kaleia, which is a Human-only planet by default, there are currently no exclusively single-species worlds within the Empire. Westley Tavera – Westley Tavera, or West, is a PsyAc field agent currently attached to the IEC, and assigned to fly-by duty on the vessel He’s one of the most gifted Readers ever tested, though he’s made sure no one knows exactly how powerful he is. Unlike most Actives, West’s Talent was present in early childhood, perhaps even from birth, and his parents sent him to PsyAc when he was only eight years old. Despite the things he’s seen and done in the line of duty as a field agent, West is remarkably cheerful and outgoing. He’s been friends with his Ground, Gavin Hale, since they were both in nursery school. West is tenacious and self-sacrificing, with a particular weakness for cases involving Actives who’ve suffered because of their Talent. 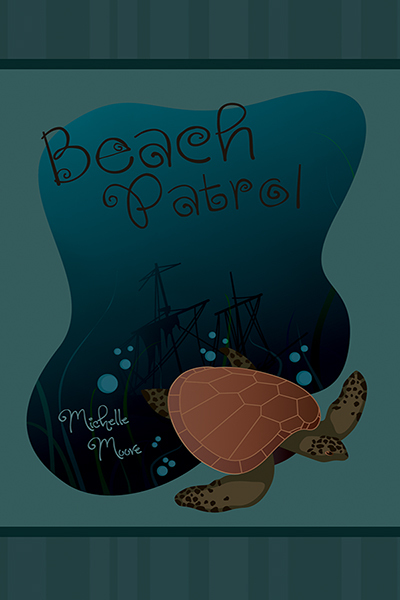 He requested his latest assignment at least partially because he’d heard Inspector Menivie didn’t care for psys, and West wanted to annoy him. …Underwear? – Regulation underwear, no less. The IEC is fond of their black uniforms, and so is Corwin. He never has to figure out if an outfit matches. Trakoran – Trakorans are one third of the Triumvir, the three founding species of the Ylendrian Empire, who are still reflected in the imperial bloodline. They shift between male, female, and neutral guises, often unconsciously in response to the emotions of those around them. Trakorans are bipedal, usually around two meters tall. Their fingers have three joints. They have fine, hair-like feathers on their heads, and their large eyes are lidded vertically. Trakorans and Humans are not able to produce offspring without significant genetic manipulation.